Thank you for considering Eighty MPH Mom for your promotional needs! The Eighty MPH Mom team welcomes you! We take pride in our work here at Eighty MPH Mom, and you can be assured that you are working with professional, experienced bloggers. You will always get our best! We look forward to working with you in a mutually beneficial relationship! 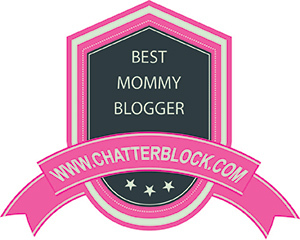 We are busy moms (and bloggers), and as much as we wish we could post about every press release, product announcement, etc., sent our way, it is just not possible. Please take a look below and let us know what we can do to help! Whether you are interested in promoting your brand/products with a review and/or giveaway, or would like to hire us for a Brand Ambassador Program/campaign, you have come to the right place! The Eighty MPH Mom team has several years of experience with brand promotion and social media and we can help create buzz for your brand/business. Here is some basic information that we hope will answer all of your questions. If you have further questions, please feel free to contact us. Either myself or one of our 6 experienced reviewers will consider reviewing your product(s), if they feel it will be a good fit for them and their family, and Eighty MPH Mom. Between the seven of us, we have children ranging from toddler through 27-years old! If you have baby products, kids items, toys, clothing, etc., we can help! Of course, we review things for grown-ups too. From household, electronics, gift cards,etc. – we are open to almost all reviews! We heavily promote reviews and giveaways, using media outlets (such as Facebook, Twitter, Google+, Instagram, Pinterest, other blogs, blog forums, and many more. We want to use every means possible to create a buzz about your brands and products. Blog reviews/giveaways are a wonderful way for your product and company to gain exposure. They are inexpensive, effective, and your company and products will be showcased to the main shoppers in the family – moms (and dads!). Product promotion on blogs IS the future. If you have never worked with blogs before, we will be happy to walk you through each step of the way. Please fill out this Review/Giveaway form if you would like us to work on one of these, and we will get back to you shortly. We love spreading the word about products and companies that we love! Running a giveaway on Eighty MPH Mom, concurrent with a product review is highly recommended for maximum exposure. The only thing needed from you is product(s) to review – there is no fee involved. We require full size product(s), and there is a minimum product value of $50. Review items will not be returned. In exchange, We will post an honest review which will include photos and a link to your website. After the post is live on Eighty MPH Mom, your review post will be promoted on social media platforms such as Facebook, Twitter and Google+. We do post giveaways only, but due to time involved in posting, there is a fee for a giveaway post with no review item. Please inquire about rates. You will be required to ship prize directly to winner (we will provide you with the address of the winner(s) at the conclusion of the giveaway). The review portion is the same as above, but we will host a giveaway concurrent with the review. At the conclusion of the giveaway, we will send the winner’s information to you, and you will ship product to winner(s). Giveaway prizes can be the same product myself (or one of my contributors) have reviewed, a gift card or gift certificate (either to your store/product or a Visa/MC/AmEx). We require that the same product(s), gift card, etc. be sent to myself or one of my contributors who may be doing the review. We highly recommend including a giveaway with a review, as they will bring the most exposure to your company/products. We always offer extra entry options, and if you would like to include the options to follow you on Twitter or Facebook, etc., please let us know. Giveaways generally last two weeks, but we are flexible. I do ask that you ship prizes to winner(s) in a timely fashion. Tracking numbers and estimated delivery dates are always appreciated. *There is no charge/fee for this option. For this option, we do not need a sample to review. We will post either a pre-written, previously unpublished post by you, or we will compose an informational post about your company and products, and including pictures, text and keywords. The giveaway portion is the same as above. There is a fee for these options – please inquire about rates. Please contact us directly for advertising rates or media kit. We will only agree to items that are a good fit for Eighty MPH Mom and its readers. We reserve the right to refuse any product. You will be responsible for all shipping and handling for the review sample and also any giveaway shipping costs. Reviews/Posts/Giveaways will be done in a timely fashion. For reviews, please allow up to two weeks for post to be published. Posts without review and post with just a giveaway will generally be posted quicker. Please provide any specific pictures and logos you would like us to use, as well as keywords/text links you wish us to include (ideally two to three links are preferred). We will be in constant contact with you during the review process. We will email you when product has arrived, and an estimated post date. We will email again with a direct link to review, immediately after it has been posted. We encourage you to check back frequently to view the comments left by readers – you will be able to hear from the public by viewing feedback and comments from readers. This is the best form of advertising your product. For the cost of your product, you can get word of mouth advertising and buzz about your product!. We will heavily promote your review/giveaway using social media (including Twitter, Facebook, Google+), forums, blogs and other available outlets. Your company name and my product review will remain in our archives. Web crawls will consistently pull up your company/my review info. We try to use as many labels/tags/keywords as possible to ensure maximum exposure in web searches. You will get exposure to a wide audience. Your products and product information will be viewed by thousands of readers, many who will then spread the word about your products to others. Twitter and/or Facebook blasts. For a nominal fee, We will share your “blast” with my Twitter followers (15,820) and/or Facebook Fans (10,,850+ fans). We also offer consultation services, and can get you up and running in the world of blog promotions, Brand Ambassadorship programs, running successful blog campaigns, social media and much more. We are very flexible and easy to work with. Marvel’s the Avengers Tribeca Film Festival Red Carpet event in NYC! Gnomeo & Juliet Red Carpet Press Event in Hollywood! Click here to view my Media Kit, and brands that I have worked with! I hope we can work together soon! Please let me know if you have any questions.